Plastic bottle caps are the most collected items at beach clean-ups throughout the year, with increased food wrappers, plastic cutlery and drinking straws the other big monsters we need to fight. 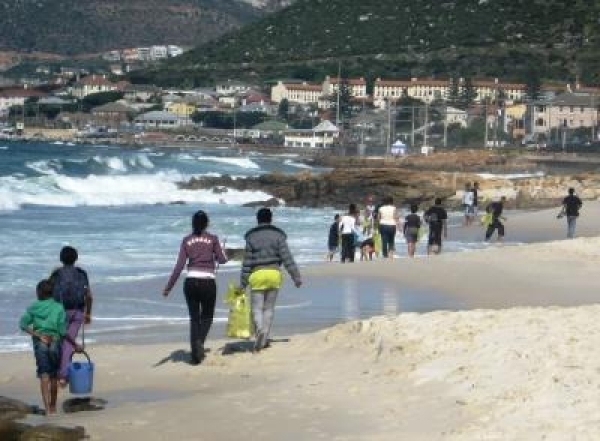 Plastics Federation of South Africa, who coordinated the 25th International Ocean Clean Up Day held earlier this year (Saturday, 18 September 2010), has just released the results of this year’s clean-up campaign. 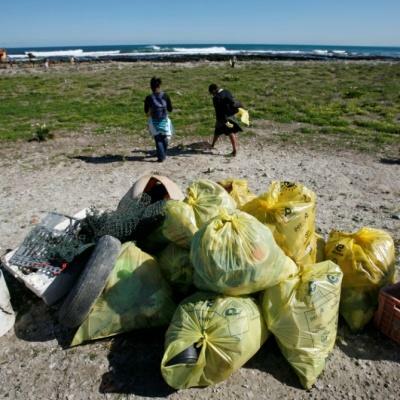 According to John Kieser, Environmental Manager for the Plastics Federation and the National Coordinator of the International Ocean Clean Up day, 20 000 volunteers this year helped to clear debris from the beaches, underwater areas and waterways of South Africa. 8 120 volunteers participated in KZN and 11 867 in the Northern, Western and Eastern Cape this year, compared to 7 746 in 2009. ‘We have seen a marked increase in the number of volunteers this year – ranging from surfers, divers to schools and community groups,’ Kieser says. Of this number of volunteers who participated in the Cape provinces, 4 756 audited (compared to 2 943 in 2009) the material they picked up on a standard datasheet of the Ocean Conservancy as part of an international effort to see what material is the most prevalent in various waterways and marine systems on an international level. ‘This year we removed a total of 62.65 tons of litter (13.65 tons from Cape beaches and 49 512 kg’s / 49 tons from KZN beaches), covering a total distance of more than 1 000 km along the country’s coastlines, estuaries and rivers, inland water sources and even underwater in our cleanup operation,’ Kieser says, adding that the total tonnage of litter removed and distance cleaned is higher in the Cape Provinces, as these figures only reflect the data received from the audited data sheets. As in 2009, there was an increase in the number of cleanups taking place in informal settlements. This was due to the high prevalence of waste in these communities due to a lack of proper infrastructure and communities also using the opportunity to remove waste at the end of the winter months. 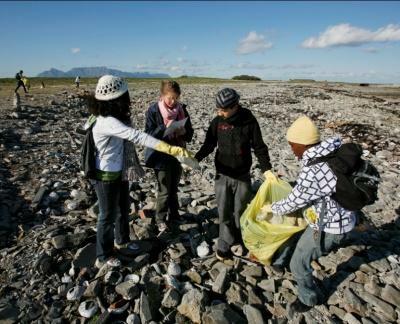 Thanks to increased marketing of the event and greater public participation, cleanups also took place further away from the coastal zone areas, such as river mouths, streams and waterways throughout the country. According to Kieser, this year’s results reflect the positive impact made by the bigger, urban municipalities that have been making a concerted effort throughout the year to clean their beaches and coastlines on a daily basis. For the third year running, plastic caps from bottles continued to be the item collected the most on our beaches. ‘Thousands of bottle caps were collected – even on beaches where there is a structured cleanup on a daily basis. 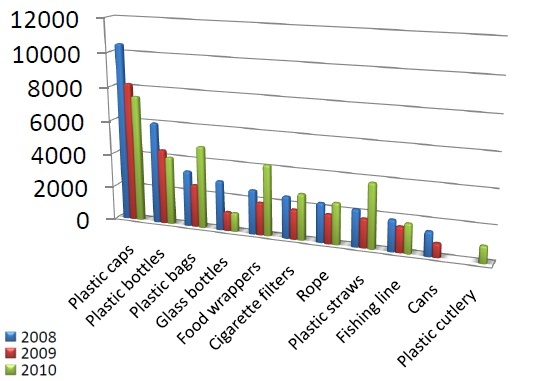 Caps outnumber the other individual litter items by far,’ Kieser says. Despite this problem, however, the audited results have shown a steady decrease in the amount of all litter collected over the past three years. Plastic beverage bottles have dropped from the number 2 spot in 2009 to 4th in this year’s cleanup, but the amount of individual numbers have not reduced significantly. The amount of food wrappers and containers collected during the beach cleanups have increased and is now the second biggest litter problem. Other items that have increased noticeably are the amount of plastic shopping bags, plastic straws, and lollypop sticks. ‘A new item on this year’s list was plastic cutlery,’ Kieser says. The number of beverage cans being removed has dropped to the 12th position, but the number of clothing and shoes collected from cleanups have increased when compared with previous years. The 2010 International Coastal Cleanup has shown again that between 80 % and 90 % of all waste found on our beaches originate from the land and not the sea. ‘Plastics don’t litter, people do,’ John Kieser says. Even litter that falls from our hands hundreds of kilometers away eventually finds its way to the ocean, making it more vulnerable to impacts from climate change, coastal development, and overfishing. Litter isn’t just ugly, but it also negatively impacts our economy and our own wellbeing. 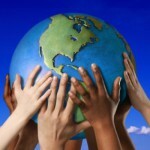 – Your contribution makes a difference! – Diarize next year’s event now! Saturday, 17 September is when the big clean up takes place! 2. Put your litter in a secure bin. – Most marine litter starts out on land. 3. Start recycling everything you can. Conservation of non-renewable fossil fuels. Plastic production uses 8 % of the world’s oil production, 4 % as feedstock and 4 % during manufacture. Less energy is used when recycled materials are included in the manufacturing process. Recycling is good for the South African economy as it decreases the necessity to import raw materials. 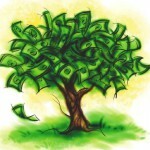 Opportunities for income generation and alleviation of poverty through job creation. Prevents litter and contributes to a cleaner, greener and healthier South Africa.